Alex J. Cavanaugh: Unique Christmas Gifts and Blogfests! I can't afford the bugatti, Alex, but you'll be pleased to note that a copy of CassaStar has made it into the Kitsap Regional Library system, per my request. I'm going to be reading it and will definitely post a review at World of the Scribe when I am done. Hey Jeffrey - thanks! Hope you enjoy it. Jamie, there's matching Cthulhu slippers, too. I. Want. The. Ice. Cube. Tray. HAHA, and I love the "Show Me Yours" picture. Alien Queen!! Big replica of the Alien Queen please!!! Thank you. I've been good alllll year, saintly even, character beyond question - so good I've sprouted wings and a halo. I deserve the Alien Queen! I like the plushie. 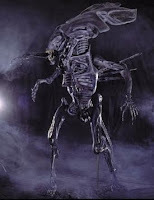 My neighbors might complain if I put the alien queen by my front door - but I'd put a Santa hat on her. If I spend 1.5 million on a car, it better be "the" fastest! I would really like that alien statue, but I'm sure it would drive me cats insand! Alex, thanks for checking up one me! You're right. I really do want that television. 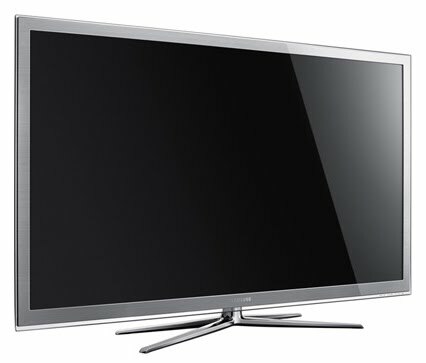 Watching football would be so awesome on that thing. Blog fest doesn't seem nearly as exciting as say a rock fest, but it is so much more rockin'. Those ice cubes would be perfect for when I have my spy friends over. Great idea! Alex, I have a nice 1/32 scale Bugatti picked out for you! Now you just send that TV along to me, will ya? Ooohh great links! Thanks Alex! The blogfests look entertaining I put them up with all the others on my sidebar. I want the first four but I'd prefer a Cayman S - and I'll be signing up for the eye candy blogfest. Thanks! You got the car if I can have the alien and the TV. Fair right?! I want the alien queen and then I'm going to host the best Halloween party ever... year-round!! Once I fulfill my "five-year plan" (of winning the lottery), I'll spring for that Bugatti for you. That Cthulhu plushie took the biscuit for me. I love that idea. Saumya, I think I need to get the ice cube tray. Kitty, will Charlie want his own as well? Holly, now that would be festive. Pat, it is the fastest "street legal" car in existance. Haleine, it's really cool on my 50", but I want bigger! Cheeseboy, just don't reveal that they're made of ice. Chuck, 1/32 scale TV as well, sir? Colene, that is more than fair! Six grand for a television? Yow. Try a trip through a wormhole ... similar to a Bugatti. Once I complete that particle accelerator in my garage I'll send one your way. Funny, my husband and I raced home tonight, he thinks I cheat cause I won~ He would be right ;-D I like to speed~ Back roads in NC, are the back bones of Nascar's training! Okay, please don't hate me but I'm a freak fan of Top Gear and when James May drives the Bugatti, it sends shivers up my spine. I'll have one of those please! Cool gift ideas and great linkage! Would love the ice trays and the t.v., but since I don't like to drive fast, think I'll pass on the car! And if I'm ever a billionaire, I'll buy it for you! I saw these ice straws some place. Almost as neat as the bullets. That ice cube tray looks kinda cool! $1.5 million for a Bugatti? Heck, I'll take two! I wish more people would advertise when there are blogfests. There have been a number of them that I only heard about because I saw people posting entries, but they were ones I would have liked to join. I guess there's room for one more Bugatti in my garage. Eye Candy Blogfest? Wow, this is a great idea. I'm in. The Bugatti is mine! Failing that, I don't mind you beaming me the alien queen. Teresa, you have a super-spy mentality! Ella, there's a lot of back roads in NC! Clarissa, I dig that show!!! Well Ted, hope I gave you enough warning with these two. 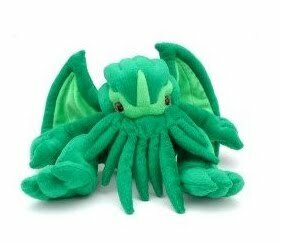 I just Squeeeeeeeed at that cuddly little Cthulu!!! He's so CUTE! (in that evil, take over the mountain kind of way) and the ice bullets... EXCELLENT! I've always thought a nice pointy icicle was a perfect murder weapon, but you can't use them from across the room! looks like you had fun rounding up those pictures of xmas gifts. wild. maybe i'll do the eye candy blogfest. gotta love Adrian Paul. I can see uses for the bullet ice tray. Fictional uses! I REALLY love those AK ice cubes!! I think I am going to get those for my husband. Three guesses what I wiould like for Christmas but the outcome is very remote. I have a plush Chtulhu, so if you're giving gifts I'll take the Bugati. When I was working for Morris Costume Company (based in Charlotte) we sold those Alien Queen figures. Those things are huge. They probably would not fit in most peoples' homes. I believe Michael Jackson bought one from us. Okay, I guess he had room at Neverland. 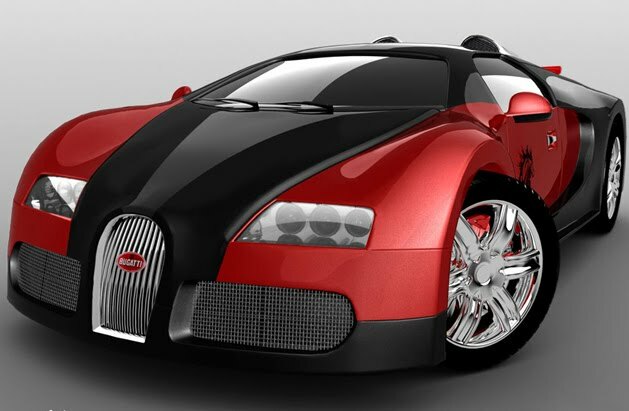 If someone buys you the Bugatti, could I, um, borrow it for awhile? 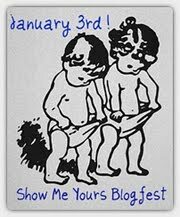 ooh, i didn't know about the eye candy blogfest - i'm all over that! Hart, you could fling them across the room if you were part ninja! Lindsay, the plushie is a hit! Dude! I want the ice tray! i live how they are curved like a banana clip too! I always wondered what my drink was missing; bullet shaped ice cubes!! I might join in on the picture blogfest, not sure yet. Sorry I haven't been around in awhile. Very interesting Christmas you're going to have there in the Cavanaugh household. The Lovecraft critter has to be my favorite. aw..I love the plush toy...so cute! And reducing Cthulhu down to a stuffed toy kinda amuses me. love the ice tray, but $19? They Eye candy blogfest grabbed my attention, that could be interesting. Cool ice cube tray. Lol. Oh dear...fast cars. Well, in your dreams I fear, sweet Alex. Powdered, good to hear from you! Nicki, I think everyone likes him. Lynda, that is kind of ironic isn't it? Nancy, and in my Need For Speed game! I'm trying to decide where to put the life size alien queen you'll get me. I'm thinking the living room. Alex - My hubs already has a 65 inch tv. 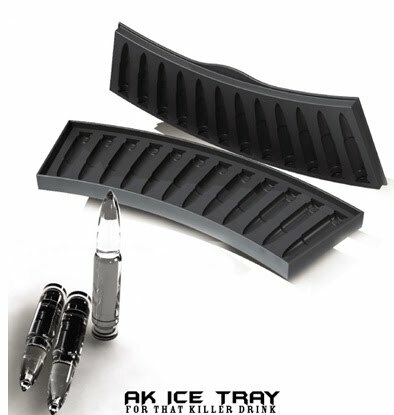 The bullet ice cube tray is pretty funny. And, the Alien queen is awesome. Do you have her already??? My hubs (okay, me) would love the car. Too bad I don't have 1.5 mil. Eeep, that's just crazy!!! And, truthfully, even if I did, I wouldn't spend it on a car. I have my priorities, but it's gorgeous!!! I can spring for a BUG (and no, not the VW variety, I was thinking of the 6 legged variety)...but then you DID go out of your way to mention the blogfest, so I'll put in a good worth for you with Santa. Ha! Those are some brilliant gift ideas Alex! I wish that I didn't have all my Christmas presents yet or else my family would get some of the best gifts ever! Thanks Alex, and I look forward to reading some of your Nanowrimo. I liked the movie Aliens, but a $25K statue? Really? RaShelle, your hubs has good taste in TVs then! Mine's only fifty inch. Guess I need to step it up a bit. Mary, tune in January 1 - I just might surprise you! I must have that ice cube tray - love it! I know, yes, I'm that kind of nerd. Ha! Hubby would love that ice cube tray. Stephanie, you sound like my wife - go ahead and be that kind of nerd!